One year to settle in, One year to plan the exit! 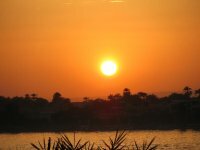 The dawn of a new day in Egypt. 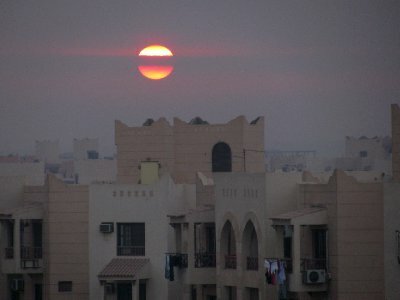 The sun is coming up over the apartment buildings while I prepare for another day at work. Not an unusual event but this sunrise is obscured a little by an autumn cloud. 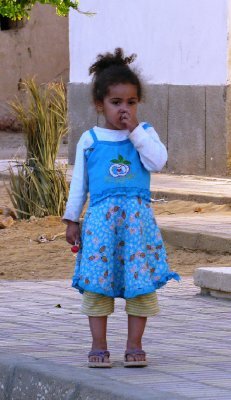 My second year of living in Egypt is already speeding by, helped by the rather hectic start to the first term at school. Working hard and playing little has left me worn down and greatly in need of the Eid holiday. Rather than a half term break it's actually come only a month before the Christmas holidays begin. Despite being a bit of a workaholic, I have managed to resist opening the folder on my dining table with the empty plan and set of reports I need to check before returning to school on Sunday. I'm definitely busier this year than last. More jobs to do at work, more naughty children to tell off and more responsibility. I suppose that's what my promotion has offered me. Last year was a breeze. I had a fantastic class, no hassles and no responsibility. Towards the end of the academic year however, I felt the tide of change, sweeping over and passing me, as many of my colleagues left to go to other schools and other countries. I was used to being the one leaving and not the one left behind. I didn't know what the new year at school would offer or whether I would enjoy my new position. Even on the first day of school I missed the teacher who had been my neighbour along the corridor. What a difference he made to my day; always smiling, saying hello and asking how I'm doing. I would go downstairs towards the end of each lunch break and he would be sitting there on the bench, enjoying the sunshine, while one of his students waffled in his ear about something. Now the warmth has gone in his section of the corridor and all I see now is a cold morning smile and complaints about taxi drivers and Arabic teachers being late. My new class arrived at the start of term and I couldn't help but feel I had in some way borrowed them. My old students would surely return the next day, or maybe the one after that. At first they didn't speak to me and had no answers for anything I would ask. They were noisy, disorganised and messy. After the first week I felt quite frustrated and wondered how I would shape them into good students with an enthusiasm to learn. After all I didn't have to try this hard last year! Now it's November and things are starting to settle down. In front of me are seven months of teaching, school trips, productions, reports, parents' evenings and school events. Well at least that's what's happening at work. At home my time is largely being spent looking for jobs for next year. I've made a long list of countries, schools, websites, contact details and curriculums. I've updated my CV, written cover letters and sent them to lots of schools. It seems crazy that I need to spend an entire year planning for where I move next. It makes every day of the next seven months feel somewhat shallow and temporary. Having never really applied for teaching jobs in the UK I can't really imagine what it must be like to already know the culture, language and people of the place I'm applying to. When I'm trying to choose countries to live in I can only base it on hearsay, Google images, the occasional tourist's blog and documentaries like Bizarre Foods and No Reservations! While Andrew Zimmern annoyingly dribbles over a deep fried cockroach, I'm always trying to see what's happening in the background, whether there are any decent looking shops and whether I would be tempted to eat the street food. Not much to go on really! I'm trying to be more selective about schools I apply to this year. I've been teaching for over five years and I want to be moving to better schools each time I look for a new job. I have different categories of schools and countries on my list and up until Christmas I'm only writing to the schools I really want to work at. I want to give myself the illusion that I can choose my own destination, although in reality it's likely to be the destination that chooses me. The hardest part of job hunting is the waiting period and the fact that I might never hear that my application was unsuccessful. The unknown is somehow far worse than bad news. I'm already in a much more fortunate situation this year because I have two good schools in good locations interested in me. I also have an interview coming up in the new year. My goal is to have a job by February so I can relax and make the most of my final four months in Egypt. But for now it's the waiting game. 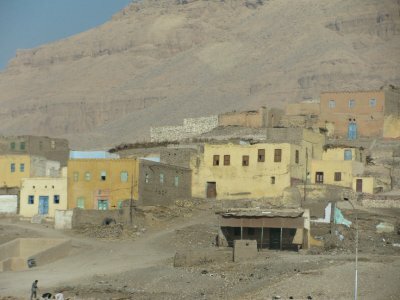 As I grow better friends with the locals and learn more about the culture and religion of Egypt, I become quite frustrated with it all. 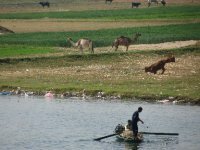 Egypt is overpopulated, underfunded, dirty and disorganised, with outdated customs and a culture of oppression towards women and the poor. Wages are ridiculously low even for qualified individuals (although knowing a little about the education system here makes me question the quality of anyone's qualification!). Degree qualified Teaching Assistants at my school earn a meager 900LE (100 GBP) per month. 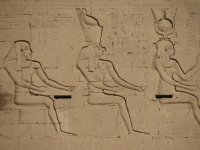 Women in Egypt are bred to be inferior, weak individuals who feel that they need a man to provide for and control them. They are expected to stay at home and look after the house and children, and when in public, cover themselves up to prevent other men being attracted to them. In theory I have no problem with the notion of home maker if that is what the woman is happy to do. I also don't mind the idea that a secure home unit is created for children to grow up in, and that women are not cheating on their husbands. However, what I object to is that the woman is pressured into covering up and that she cannot be trusted to merely shun expressions of interest from other men (like we do in non- Muslim countries)! Also we all know it takes two people to cheat but the blame in Middle Eastern countries always lies with the women. 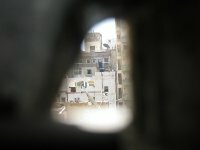 At the heart of Muslim culture lies a firm set of morals and values but in practice there are examples of broken homes and suffering children all within the confines of what is acceptable to the religion. My friend comes from one of these homes. Originally she lived with her grandmother, mother, father, brother and younger sister in a stable family environment. Four years ago, my friend's father decided to divorce her mother on the grounds that she was not fulfilling her role of wife and mother satisfactorily. As a result she had to move out, leaving her children behind (the youngest of which was only 6 years old). She had the right to petition for custody of the children but my friend's father poisoned the mind of the youngest child, telling her that her mother was a bad person and that she was going to bring the police and take her away. For this reason, the mother decided to let her stay with her father. 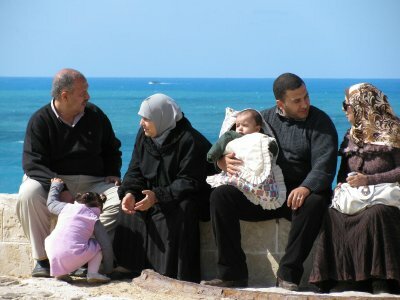 Two years later, my friend's father decided to marry again and moved into his new wife's house, leaving the three children in the family home with only their elderly grandmother to look after them. 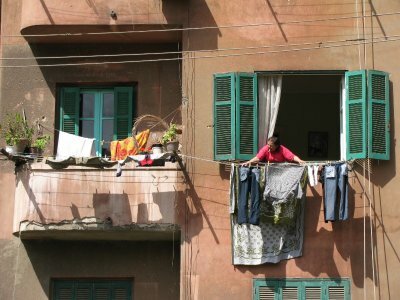 This situation has to raise questions about the validity of the accepted practices in Egypt, especially since the broken home life has damaged the reputation of my friend and her prospects to obtain a good husband in the future. My friend is an open minded and strong willed female who wants choice in her life. She wants a good man, who will respect her freedom and not judge her for her family background or choices she makes in her own life. She wants a man who will love her for being who she. She doesn't want to worry that he's always looking for a second or even third wife. Is this too much to ask? Is this what a perfect, happy family looks like? How long before this little girl has to suffer the 40 degree heat in nylon body suits, multiple layers and a veil? 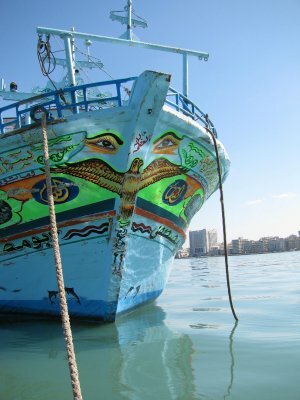 View The move to Egypt on lucid's travel map. About a month ago I moved from my 1st floor apartment at the southern edge of Al Rehab to a 5th floor apartment overlooking landscaped grass, palm trees, apartment buildings and the desert in the distance. It’s a lovely view, especially because the sky is so clear and blue at the moment. From the balcony I watch the gardeners sitting in the shade of a tree listening to music on their phones or wrestling each other to the ground. Not much gardening goes on around here but then what would you expect from boys who are only around 12 to 16 years old? I’m on holiday at the moment, which is giving me a little time to consider where I am and what I’m doing at the moment. I try not to be an over thinker anymore but it’s definitely worth stopping every so often just to look at everything objectively for a while. 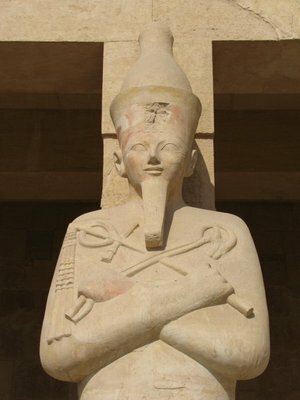 I’ve been in Egypt for 8 months and I’m about to start term 3 at school. This year has gone by very quickly. 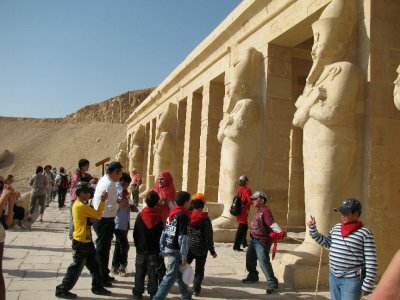 The last eight months in Egypt have been a great recovery from the aspects of living in Taiwan that had dragged me down. I feel like I’m back in the right job again and my general quality of life has got a lot better. 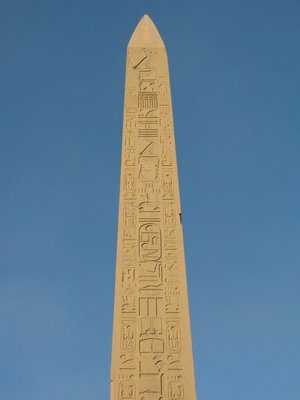 Of course there are many things that I don’t like about Egypt but I always try to remember a quote I read about travel. It that said foreign countries are not designed to make us (the traveller) feel comfortable, but to make its own people feel comfortable. I agree with the essence of the quote but I think that Egypt is perhaps not designed to make even its own people feel comfortable. My husband and I frequently compare life here with life in Taiwan. We reminisce about places we used to eat, scooter rides into the mountains and the amazing transport system. 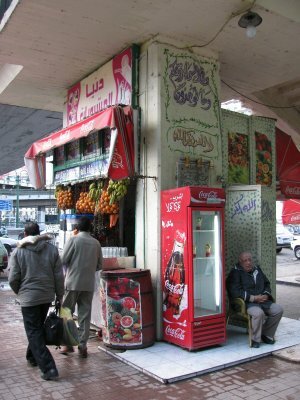 By contrast, Egypt is a much harder place to get around but has much easier access to food. The home delivery system is impressive here and with wages being so low it’s easy to make someone very happy with the equivalent of a 50 pence tip. 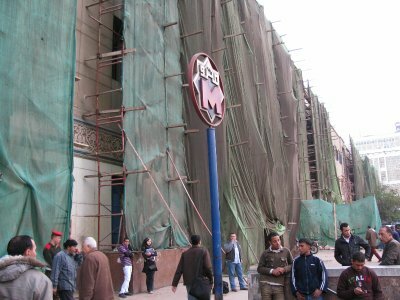 Last week I took the public transport system for the first time into central Cairo. I was meeting my Egyptian friends at one of the metro stations and they sent me instructions for how to get there. I felt quite triumphant that I managed to do the journey with relatively little hassle and I now feel I have gained a sense of freedom. 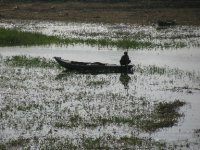 I much prefer to travel like a local and part of feeling like a resident is being able to find your own way round. As strange as it seemed to have a women and children's metro carriage it was a welcome defence against the insatiable stares of Egyptian men. The public transport in Egypt is very cheap by western standards (5 stops on the metro was only 10 pence!) and what cost a total of 70 pence return from Al Rehab to Cairo would have cost 15 pounds in a taxi! 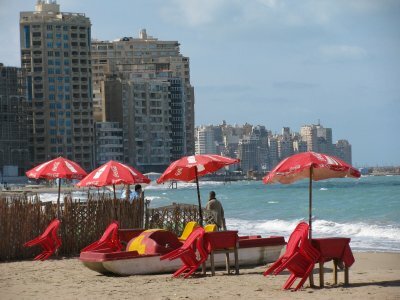 I was very excited at the prospect of spending part of my school holiday in Alexandria with 3 of the Egyptian teaching assistants from work. We don't get much opportunity to talk during the school day and I really enjoy discussing life and the interesting and different aspects of British and Egyptian culture. Concerned about the Monday morning traffic, I set off at 6am from Al Rehab to get to Rameses Train Station in the centre of Cairo. In reality at this time the roads were deserted and the hour long journey took only 35 minutes. That left me with an hour to kill until I met my friends. In most western countries, the train station is a relatively common place for all kinds of people to be hanging around. I noticed all too soon however, that a tall, blonde, white skinned female was not a common sight for the many Egyptian male commuters. I didn't get hassled but there were many stares from the men passing me by. It was surprisingly cold that morning (14 degrees celcius) so I took myself inside the station to avoid the wind. I entered a coffee shop near the platforms and managed to get a cheese roll and a Turkish coffee for 16LE (about 1 pound 80). 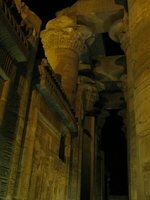 As I sat drinking the smooth, black, clove flavoured coffee I had a feeling of calm...nowhere to be at that point and nothing to do except for consider how I was there, in a station cafe in Egypt, as a resident but feeling like a traveller. I people watched for a while, considered ordering another coffee, but then thought better of it as the guy in the cafe had described the coffee as 'strong' and I'm not great at dealing with large amounts of caffeine. Turkish coffee is to coffee what cocktails are to alchohol...silent and deadly! As the clock rolled on, I stood outside the station, people-watching and analysing everything from the fruit shop tucked under the concrete bridge to the clean white leather boot covers of the station guard. An alien world that I was hoping would become more understandable as I spent more time amongst my Egyptian friends. True to form the girls turned up with only minutes to spare before our train left for Alexandria. What should have been a 5 minute taxi ride from thier apartments had taken 25 because of the traffic. We ran into the station, onto the platform, and squeezed past the crowds onto the train. We edged through 5 carriages to get to our seats in the 2nd class section of the train. A second class ticket cost 35LE each way (about 4 pounds), the seats were comfortable, spacious and the carriage had air conditioning. 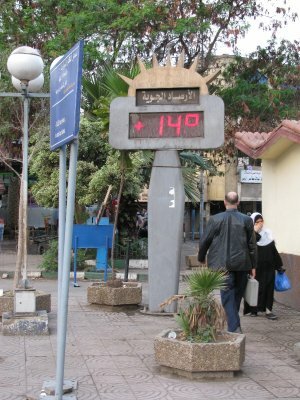 The train took 2 and a half hours to get to Alexandria and then we took a taxi to the girl's hotel. As a 'foreigner' I wasn't allowed to stay at the military hotel where the girls had booked a suite. 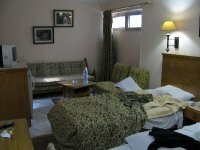 It was only 130LE per night between 3 of them and the suite was big enough for 6 people! I ended up getting a rather shabby room at the back of the 'Regency' Hotel (not anywhere near as fancy as the name suggests!) for the 'local' price of 250LE per night. I was pretty shocked to see the normal room rate of $200 per night when I was paying $30! 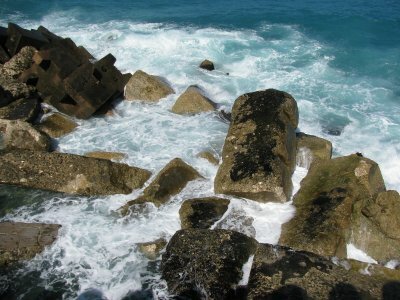 The weather was sunny and cool with a fresh breeze off the sea. 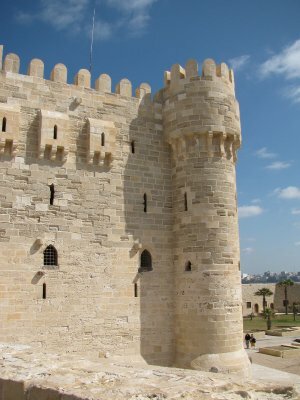 We visited Qaitbay Castle and then went out in a rowing boat round the harbour. Apparently it was illegal for the guy to take out a tourist but he let me come anyway. 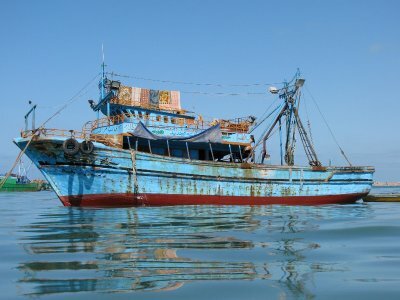 By the time the boat came back to shore we were all pretty hungry. 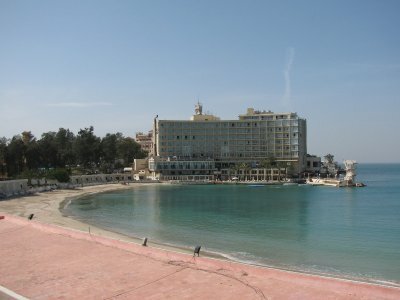 We got in a minibus taxi and sped along to the 4 Seasons Hotel on the seafront. The hotel is a phenomenal building with a cinema complex and shopping mall in the basement. I was looking forward to eating at some local Egyptian restaurant for lunch but it seems that Egyptian girls on holiday like to eat at the food court in the mall! After a bit of shopping we went to Costa to relax and then had an early night. I was glad to get back to the hotel and watch some TV, but I did feel a bit strange being tucked away at the back of the hotel with no windows out to the world. 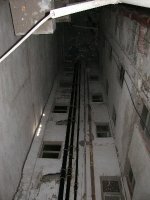 I had an interesting night trying to sleep while the music from the nightclub 7 floors down boomed up the walls until about 3am! 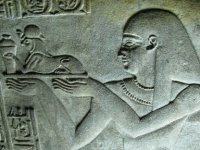 This morning at breakfast I realised that exploring Egypt is more like time travel than any other kind of travel. I feel like I woke up in 1980s Brighton, that had been taken over by Egyptians in an alternate universe! Breakfast was awkward. Non-one was there besides a few miserable staff, confused by why I was there and more importantly, why I was there alone. I've had some new experiences over the last 24 hours. 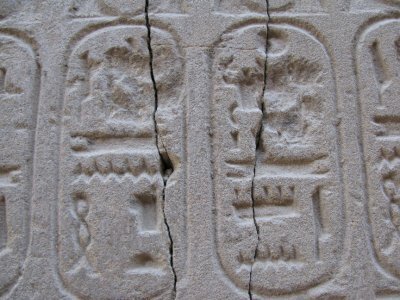 I took a taxi in order to cross a street; I used a lift in the hotel that had no internal door; I came to realise that while modern Egyptians are proud to be associated with their ancient ancestors, they are no more like the people of those times than I am. 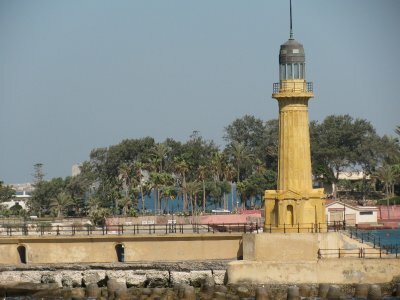 If only the British had taken over Alexandria, the library, which has the capacity for 8,000,000 books but holds only 500, 000 (donated by a Frenchman to President Mubarak), would be restored to its former glory as holding the most spectaculer collection of books in the world! I didn't like the feeling I had that morning. 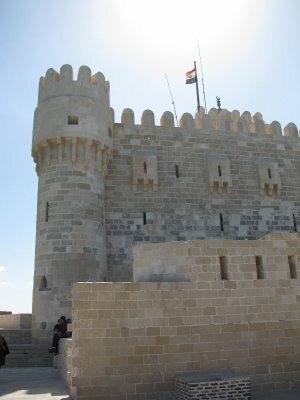 It was a feeling that progress was too slow in this country and that Egypt had little to be proud of besides a history that they can cash in on and not protect. After meeting the girls, we bought some breakfast and went down to the beach. We sat for a while, chatting and enjoying the sun, sand and sea. That afternoon we visited the botanical gardens and sat out in the sun, overlooking the hotel, bay and lightohouse. We spent the next couple of days at the cinema, shopping at Carrefour and chilling out in coffee shops. 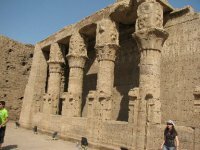 The most interesting part of the trip was talking to the girls about the expectations for young single girls in Egypt and the issues that reinforced my understanding of how Egyptian men can do anything they like but women are under pressure to conform to cultural and societal norms. It was strange to talk to women in their mid-twenties, who are still virgins and who look forward to being 'looked after' by a future husband...They have the experience and behaviour of naive teenagers and the aspirations of a 1950s housewife. I like these girls and perhaps we share a mutual interest in eachother as 'foreign' curiosities but I feel frustrated that they are not free to make, what westerners consider to be such important life decisions. I have to remind myself however, that in these cases ignorance is perhaps bliss. 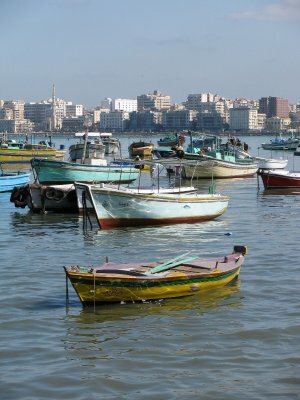 On the final day I was glad to be going home to Al Rehab but grateful I was given the chance to experience Alexandria a little through the eyes of locals. 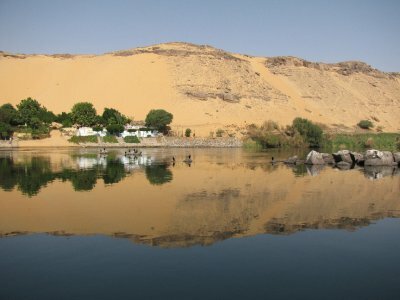 View Luxor to Aswan School Trip 2010 & The move to Egypt on lucid's travel map. 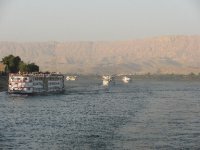 When I was asked this January, whether I would be happy to go on a four day trip down the Nile on a 4 star cruise ship with the nicest group of 9/10 year olds I've ever met, I jumped at the chance. The trip was organised by the year 5 leader and was being run for the 4th year in a row. We set off very early from school (3.30am) for the domestic terminal of Cairo airport. To my surprise, this terminal was clean, modern and fairly efficient, a far cry from the International terminal! 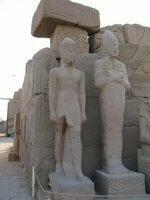 Our flight from Cairo to Luxor was only about 40 minutes, and on arriving at Luxor, we were straight onto a bus to start sightseeing. 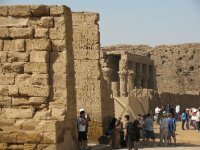 About 45 minute's drive, across the river to the other side of Luxor was the first stop for our tour, the Temple of Queen Hapshetsut. 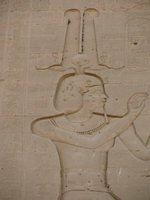 The guide was pretty good at simplifying the history for the children, who were then fully aware of the incestuous relationships of ancient kings and queens of Egypt! 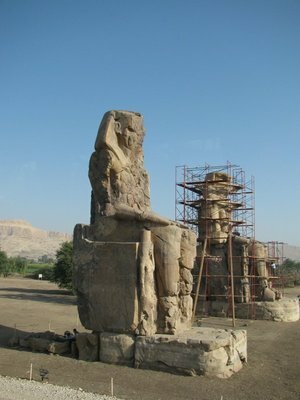 The reconstruction of this temple and its statues was very evident and to me, detracted from the ancient feel. There are some very well preserved coloured paintings though, on the second level of the temple. 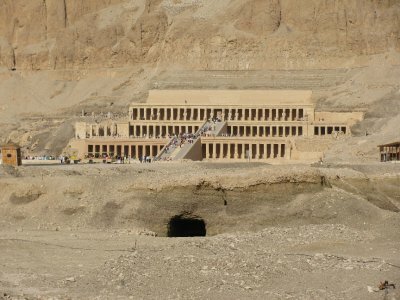 From the Temple of Hapshetsut, we drove to the Valley of the Kings. This area was completely overrun with tourists and disappointing because photography was not allowed anywhere in the area. A standard ticket admits you to three tombs, which involves joining a long line of people moving at snail speed down into the hot and humid spaces underground. 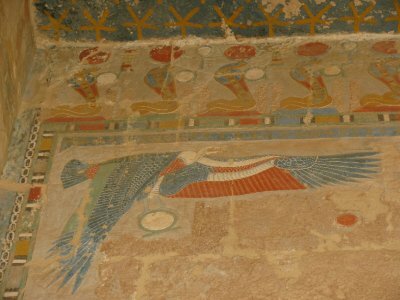 The wall paintings are very well preserved in all of the tombs we visited. 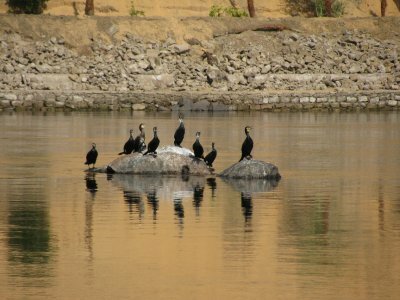 Only 5 minutes drive away from the Valley of the Kings is an area where basalt, malachite and other minerals are mined and carved into various Ancient Egyptian-styled vases, figures and symbols. Grown clearly out of the roaring tourist trade, the shop owners offer demonstrations of the carving process and demonstrate the strength of the 'real' basalt sculptures by dropping them on the floor! 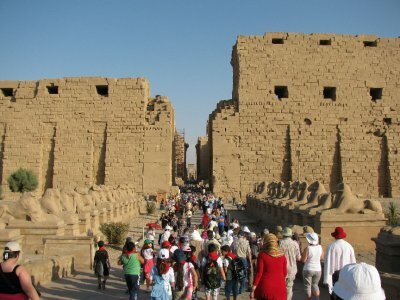 Much to the satisfaction of the children on the trip, we reached the cruise ship in time for them to change out of their jeans and thick T-shirts and have lunch, before visiting the Temple of Karnak in the afternoon. 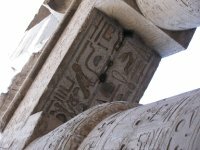 Karnak is a massive temple complex with a fantastic array of wall carvings, sculptures, columns and obelisks in different styles. We only had about 35 minutes to explore the complex, so there was time only to take photographs and then move to the next part of the temple. We arrived back at the ship in time to see the sun go down and we spent the rest of the evening relaxing after our long day. 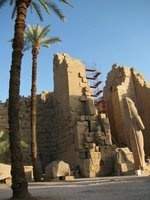 The next day, we visited the Luxor souk (market) in the morning before setting off on our cruise. 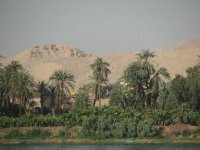 From where our cruise ship was moored, we were only about 10 minutes walk from central Luxor. 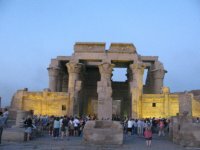 On the right was a beautiful view across the river and on the left was the ancient ruins of the Luxor Temple. 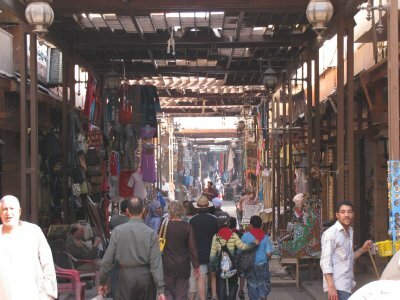 The souk is very traditional in style, with narrow alleyways leading to vendors' apartments. Geared very much for tourists, it is possible to buy almost anything you would want as a souvenir of Egypt. I found shopping here more enjoyable because I was accompanying a group of 6 business-minded Egyptian 10 year olds! They were great at trying to get as much for their money as possible and didn't fall for any of the vendors' ploys. Our ship left the docks at around 11am and the children had their long-awaited day at the rooftop pool. 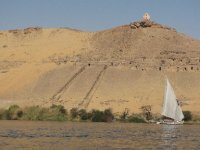 At every stage in the journey the scenery was amazing...palm tree lined river banks, grassy islands, half-constructed buildings, with the occasional backdrop of sandy hills. We stayed up on the deck until sunset and as we reached the lock, the cruise ships lined up to wait their turn. Enterprising Egyptians saw this as an opportunity to row alongside the ships and throw carpets and tablecloths onto the deck for tourists to look at. 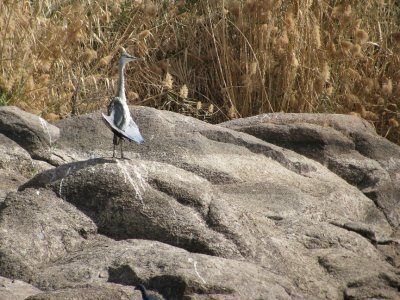 As the children pointed out to me, I was 'the best' at catching but not so good at throwing, since a couple of things I threw back landed in the water. Thanks to a worker on our ship I didn't buy a tablecloth that he showed me was painted rather than printed meaning that the paint smudged as soon as it got wet! 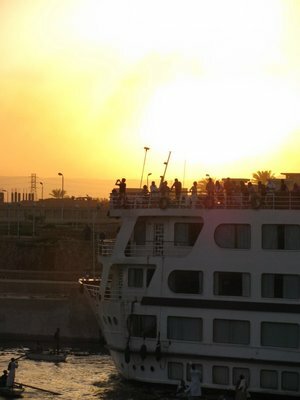 The next morning we arrived at the busy dock at Edfu. 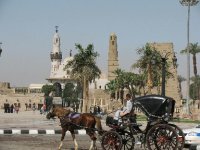 Buses to the Temple of Horus were booked solidly and many people were taking a horse and cart instead. These were a smelly and non-animal friendly way to get there, since most of the horses were sickly and injured. 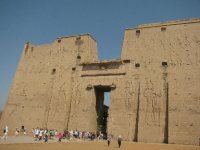 The Temple of Horus at Edfu is the best preserved temple from Ancient Egyptian times. 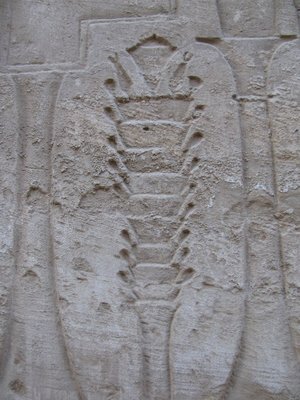 It was buried under sand for thousands of years and is preserved up to 20 metres high in some places. The inner part of the temple still has a roof and is covered in carvings from floor to ceiling. 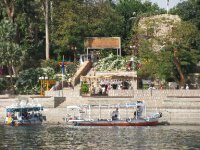 After lunch we spent another afternoon on the deck, cruising towards Kom Ombo, where we stopped for about an hour to visit the temple at night. 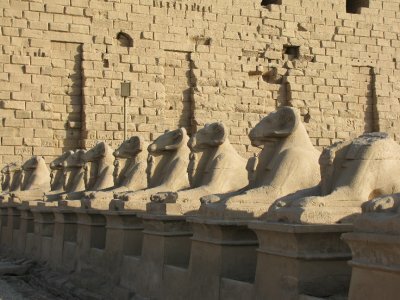 Kom Ombo Temple is split into two halves, one for crocodile god Sobek and falcon god Horus. 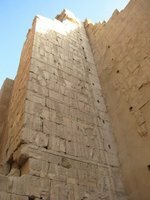 At the side of the temple is a large well-like structure that used to be used by the ancient Egyptians to measure the water level of the Nile and determine when to harvest their crops. 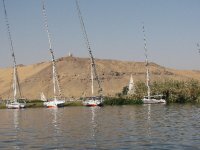 That evening we arrived into Aswan, where we spent the night and prepared to leave the ship. After an Egyptian dinner and galabeya party (dominated by the 31 year 5 children we had brought along!) we finally went to bed. 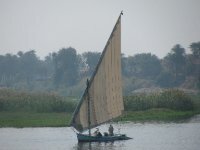 The next morning we set out on a small boat to visit the Nubian village. 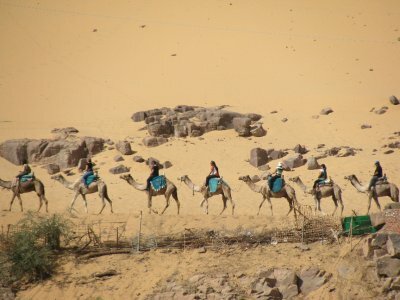 Here the children were able to stroke a baby crocodile, get henna tattoos and spend the remains of their pocket money, while dodging camels on the muddy streets. 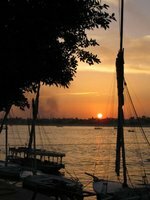 The Nubian Village is very reminiscent of Tanzania, with dark skinned, African looking people and a wealth of Tanzanian wood carved souvenirs. 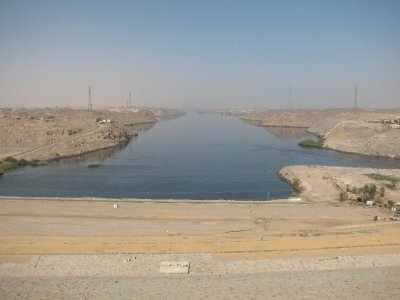 We returned to the docks at Aswan, boarded the bus and drove towards the Aswan damn, our final stop before the airport. I was less impressed by the damn than I was expecting. 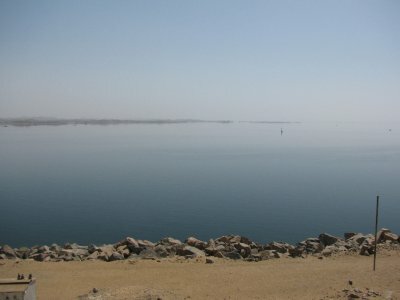 In essence it is a very large, man made concrete hill, with an average view one side, and a better view over Lake Nasser on the other. More impressive as a feat of engineering than for it's aesthetic appearance. 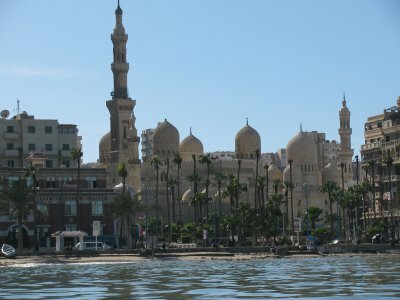 So all in all, we saw some fantastic places and the cruise convinced me that the part of Egypt I live in is not the best place in Egypt to be. 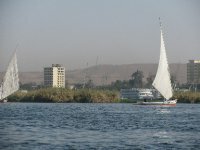 In summer I'll be seeing the Luxor - Aswan area again from a different perspective, without children or a cruise ship. I'll see then how the experience differs.